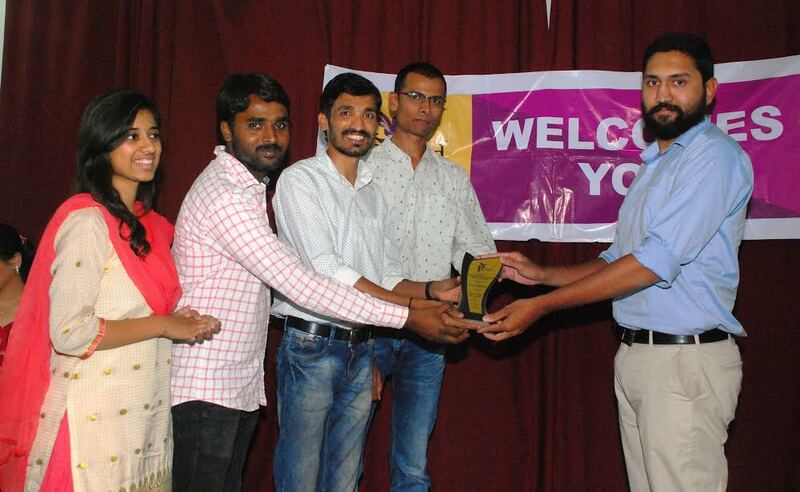 Travind Institute of Travel and Tourism Management I.Pvt.an institute based in Pune and academic division of BTW Group of companies-recently held a convocation event for the students of academic year 2016-17 batch in Pune, who have successfully completed “Diploma in Travel and Tourism Management”. A batch of 20 students were been awarded the diploma and official certification from Amadeus and Birds Group for completing the CRS training. Present at the ceremony were Dr.Ganesh Raut as Chief guest, who is Head of Department History – H.V.Desai College, Pune along with Directors of Travind Institute Mr.Deep G. Bhong , Mr.Vishal Terkar & Mr.Vivek More. Travind Institute offers diverse range of programs right from basic conceptual training to proficient training for advance leaning, remarking as the only institute in Asia recognized by Institute of Travel & Tourism, UK (ITT,UK. The program was been arranged and driven by Head of the academics of Travind Institute ,Ms.Shweta Bodhe and Ms.Pooja Disale in support of the ongoing batch of current academic year 2017. The training institute also provides a wide array of IATA courses like IATA-Foundation ,IATA-Consultant & IATA- GDS & AIRFAREs Ticketing, in association with Birds Group and Amadeus,Pune.